It's ridiculously simple but oh so delicious - and it's a crowd pleaser too! If you haven't had watermelon and feta before I dare you to try it because it's absolutely delicious. I've had friends turn up their noses only to have them snaffling the entire bowl of this salad a few minutes later! When I'm having friends over, I like to make food that is not only delicious but also quick to put together - because no one wants to be ignoring their friends whilst they're stuck in the kitchen when they're supposed to be entertaining them! 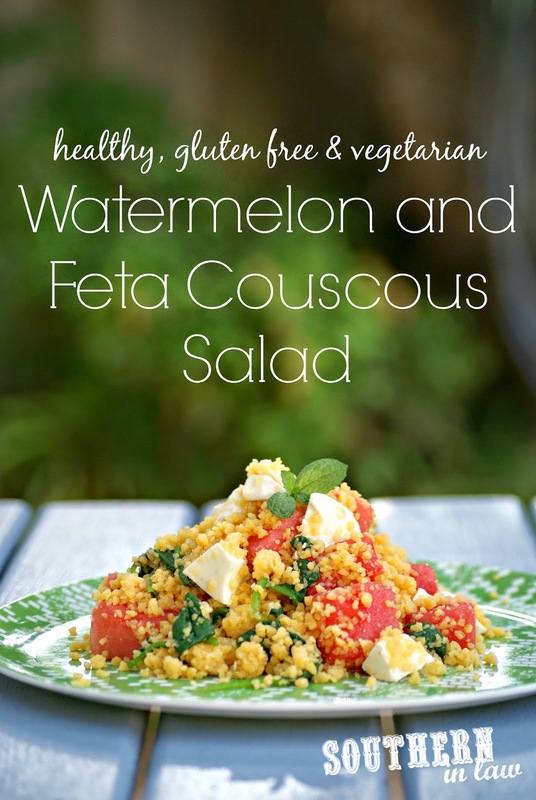 This watermelon and feta couscous salad can be made in advance so you can be the perfect hostess - just leave adding the watermelon until just before you're ready to serve! Cook your couscous and water (or grain of choice) as per packet instructions. If using, wilt your baby spinach and stir through your cooked couscous. 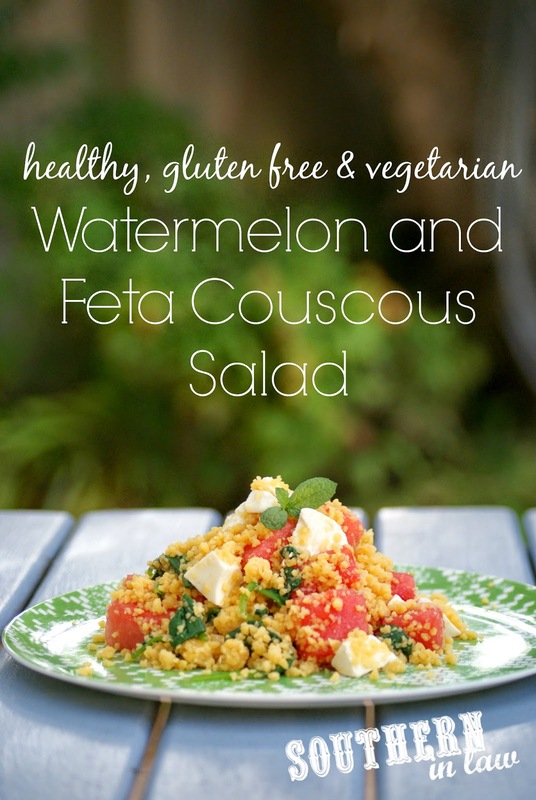 Allow your couscous to cool slightly before tossing through your watermelon, feta and mint and season to taste. If making in advance, add the watermelon just before serving to avoid everything being soggy! Party Portion! Serves around 6-8 people: Usually when I'm cooking for multiple people, I'll use 2 2/3 cups Corn Couscous, 2 cups boiling water, 3-4 cups watermelon, 1x 100g block of feta cheese, a medium bag of baby spinach leaves and then season with salt, pepper and mint to taste. But tell me, what food reminds you of summer? You are so right! Watermelon is a MUST in the summer! Wow! I've never seen gluten-free couscous before! So cool. I LOVE this flavour combo. Looks like the perfect summertime dish.